I received this book from Legend Press through Net Galley in exchange for my honest review. Four students are involved in a tragedy that rips their friendship apart. What happens when they are reunited 25 years later? Cameron Spark’s life is falling apart. He is separated from his wife, and awaiting a disciplinary following an incident in the underground vaults of Edinburgh where he works as a Ghost Tour guide. On the day he moves back home to live with his widowed dad, he receives a letter from Canada. It is from Christie. 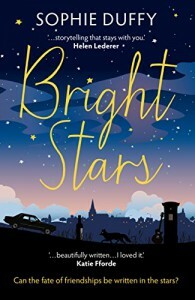 Twenty-five years earlier, Cameron attends Lancaster University and despite his crippling shyness, makes three unlikely friends: Christie, the rich Canadian, Tommo, the wannabe rock star and Bex, the feminist activist who has his heart. In a whirlwind of alcohol, music, and late night protests, Cameron feels as though he’s finally living; until a horrific accident shatters their friendship and alters their futures forever. Christie’s letter offers them a reunion after all these years. But has enough time passed to recover from the lies, the guilt, and the mistakes made on that tragic night? Or is this one ghost too many for Cameron? Cameron is struggling through life. He never really stands up for himself. He was a nerdy student and by accident he became friends with Bex, Tommo and Christie. They are all very different characters, not very nice ones. But somehow they formed a friendship. Until a tragic accident happened, after that they lost contact. Now, 25 years later Christie offers them a reunion. This book is more like a journal. Cameron was told by his therapist, that he should write everything down what happened. The story springs back and forth. The first half is more a about the time at the university, how they met and how they became so unlikely friends. We learn about the accident and how it changed their lives forever. Cameron was the first of his family to go to university. First he met Bex and fell in love with her. Cameron idealized her a bit. She is not very nice, she is egoistic and as soon as she meets Tommo, everything is all about for her. Later Cameron meets Christie and they became friends. He brings them all together. Beeing students, they go to lectures and they have fun. Tommo is a wannabe rock star and he drinks and takes drugs. Switching forward to 46 year old Cameron we meet him on the edge of losing his job. His wife already left him because she wants a baby and he doesn’t. He moves back to his childhood home with his widowed father. He receives this letter from Christie. She owns a winery in Canada and she launches her wine in the UK. She invites him to come to London and meet her. Bex and Tommo are also invited. Their reunion starts as if nothing ever happened and no time passed by. But this tragic accident is hanging like a dark cloud above them. But soon they begin to come to terms with the past. The book is very well written. The characters are all unique and well developed. They are all not very likable, they all have their flaws. But they are all very realistic. I asked myself many times why they are all friends. They are so unlikely. Their lives are all haunted by the ghost of the past. At the end it comes more or less to an “all ends well” conclusion. But I think this is for us readers to be happy and satisfied. I liked this book and enjoyed reading it very much.